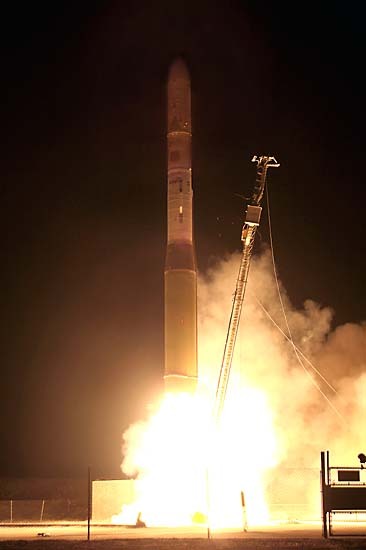 To read about the launch site and mission click here! 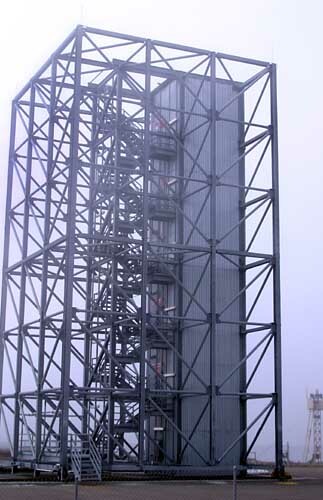 Minotaur stands ready the morning before launch inside its new gantry. 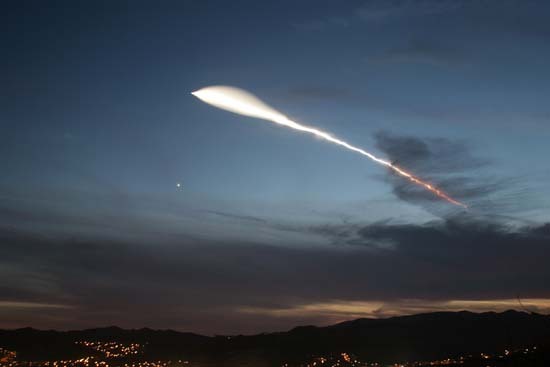 Liftoff with the Streak Satellite from SLC-8 30 minutes after sunset! Insulation that covers the 2st stage is blown away at ignition! 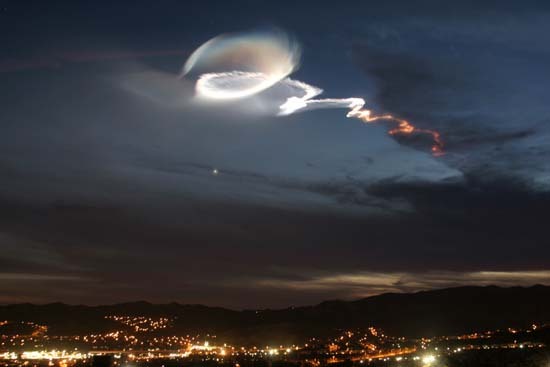 The Defense Advanced Research Projects Agency named the Satellite "Streak" and now you know why! 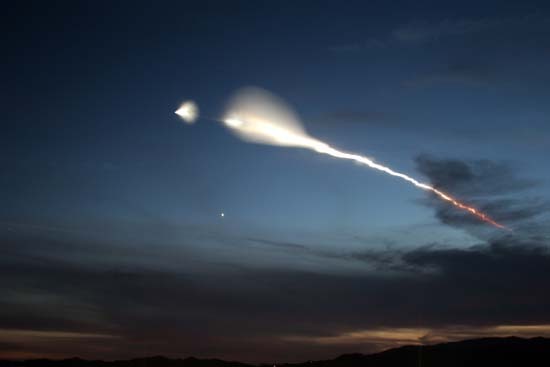 This 2 minute streak photo was taken with a 24mm at a distance of 115 miles from SLC-8. 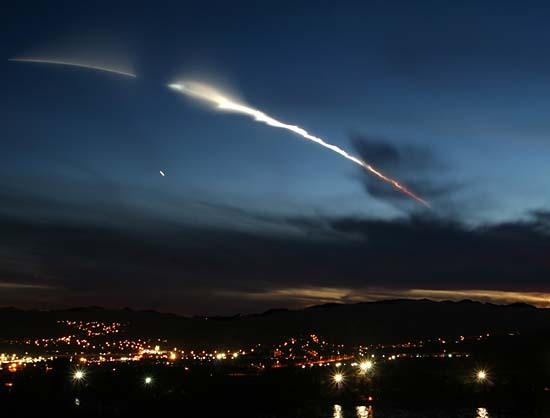 The light below the break in the streak (Coast Phase) and 3th stage ignition is the planet Venus. 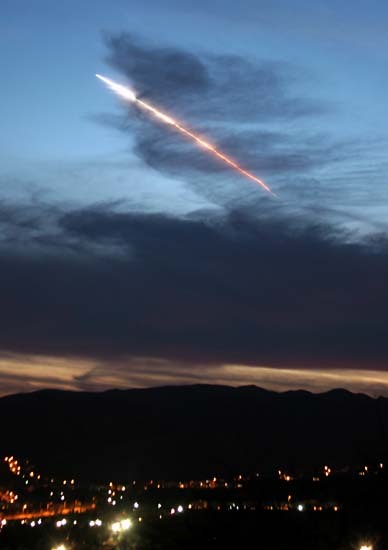 This photo is the first in a sequence shot from Lake Castaic, Calif. 115 miles from Vandenberg AFB. Second stage cutoff and third stage ignition! 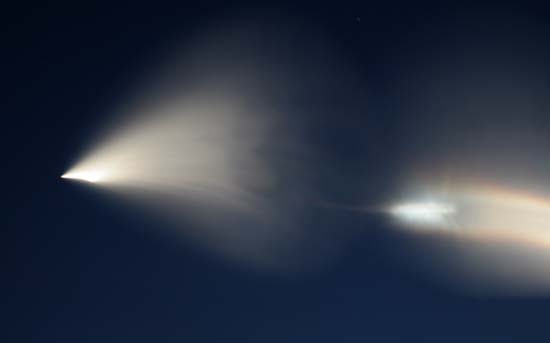 A closeup of 3rd stage ignition. 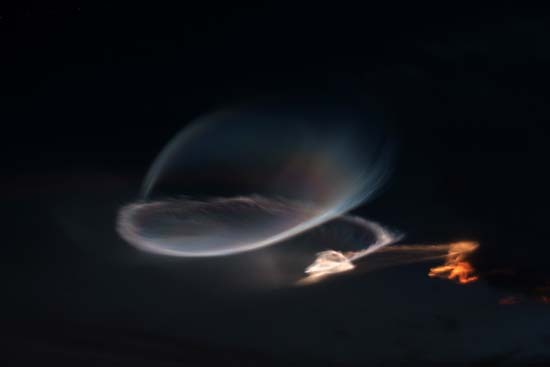 High altitude winds swirl the smoke plume and create a beautiful "Twilight Phenomena"
To see Photos from the 1st Minotaur launch click here! 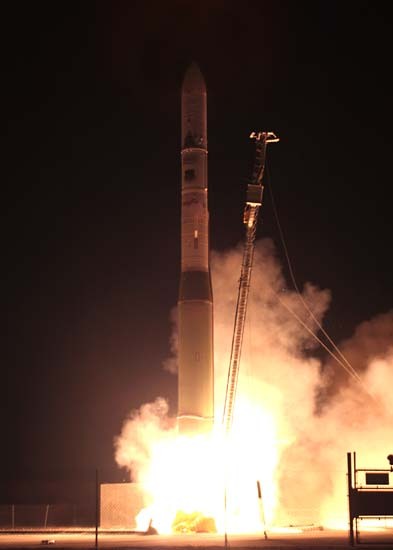 To see Photos from the Minotaur/MightySat launch click here! 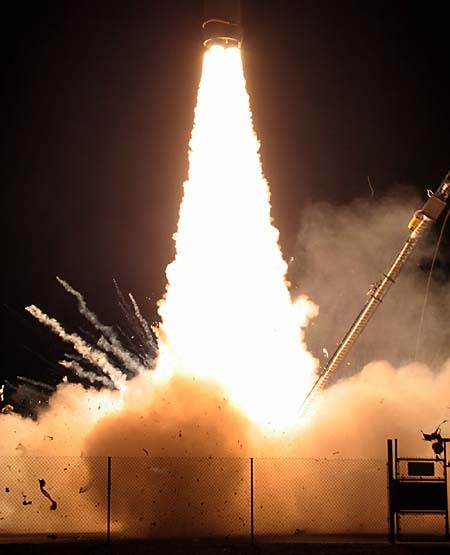 To see Photos from the Minotaur/XSS11 launch click here!